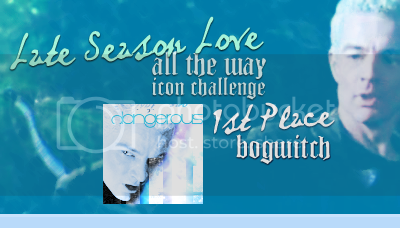 I've discovered the secret of winning the icon challenge at lateseasonlove: Just forget to ask you lot to vote for me! Thanks to everyone that did, my pretty from earth_vexer's is under the cut. Well-done, as the Mayor would say. OK, so I see it is an icon challenge for a small group. Coolieos, do enjoy the awards. Um, could you do a set for me? Just expressing your idea of Australia? It's actually more of a tough question than you think. I just was dealing with a person who was seriously wondering why New Englanders were so lame and Southeren California was so much cooler. Face it, he didn't even think our grass was green enough. "Hey your dirt isn't dirty enough! ::SOB:: Find me some nice Aussie pics. Variety is there too. Australia? That's a bit out of left field, isn't it? Well, pick you venue. But that isn't out of left field, not for me, anyway. If I were trying to make the point that New England has its own beauty, I would be wasting my breath. But my point is more broad than that since what I want to make clear is what creates an insuler twit. I'm just thinking why Australia though? How does it illustrate the point? Except open me up to looking like an insular twit? Oh, but it is to love.